Skip the spa - Zeel has you covered! Get a high-quality massage in Fremont in as little as an hour. A massage therapist will come to your Fremont home, hotel, or office in as little as an hour, or schedule in advance. Relax and recuperate with a spa-quality massage in the comfort of your Fremont home. There are over 9,000 massage therapists in the Zeel network nationwide. Here are a few that are available for in-home massages in Fremont. Passionate about health and wellness, Rumneet is both a certified massage therapist and a licensed esthetician. Rumneet boasts an impressive repertoire of modalities, including acupressure, deep tissue massage, lymphatic drainage, myofascial release massage, prenatal massage, shiatsu, sports massage, Swedish massage, and Thai massage. She approaches each session with intention, always striving to improve a client's health and enhance overall well-being. Carolyn has been a Certified Massage Therapist since graduating from National Holistic Institute in 2010, where she spent 6 months working in the school clinic prior to full certification. In addition to her in-home massage experience, Carolyn has also worked in both spas and wellness centers in the Bay Area. She specializes in deep tissue massage and Swedish massage. With more than 20 years of experience in the healing arts, Gil initiated his study of the body and mind by exploring Buddhist meditation practice back in 1985. 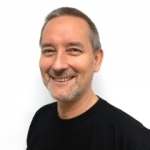 He earned his license in manual therapy bodywork in 2007, first in Oregon and then in California, and has studied alchemical healing, reiki and CranioSacral Therapy. He specializes in therapeutic massage for injury recovery and rehabilitation, and has worked in tandem with chiropractors and physical therapists to help his clients overcome complex musculoskeletal conditions. Look no further for the best massage in Fremont, CA—Zeel’s Massage On-Demand is bringing it right to your East Bay doorstep. No need to travel to Silicon Valley or San Francisco for a high-quality massage: Zeel brings it to wherever you are. Spend the day at Lake Elizabeth in the Tree City’s Fremont Central Park, bring the family to Aqua Adventure or the Don Edwards National Wildlife Refuge, trek to summit of Mission Peak, or explore the historic Niles District and the unique Niles Essanay Silent Film Museum. However you spend your time, kick back and appreciate the luxury and convenience of a Fremont Massage On-Demand experience delivered right to you at home, at work, or in your hotel. Zeel’s experienced massage therapists in Fremont arrive in as little as an hour, so skip the spa –we have you covered. Schedule a mobile massage in Fremont with Zeel today, and enjoy the luxury 7 days a week, 365 days a year. Schedule for today, or 30 days from now. Our vetted Fremont massage therapists are always on call for Swedish massages, deep tissue massages, prenatal massages, or sports massages, and we pride ourselves on impeccable customer service. Try a couples massage, or even a back-to-back massage. 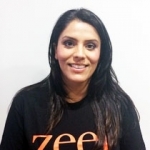 Zeel is bringing the best massage in Fremont to you. 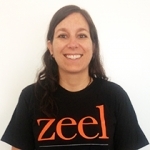 Book your very own Zeel on-demand massage in Fremont, today. Zeel provides Swedish massage, deep tissue massage, prenatal massage, sports massage, couples massage, and chair massage in Fremont.